How about climbing the highest peak between the Alps and the Caucasus? We are going to climb Musala, which at 2925 meters (9596 feet) is the highest peak in the Balkans. Late summer is the perfect time to do it, as the snow has melted and the mountain is most accessible and welcoming, so if this is your idea of a well-spent holiday in mid-September, then join the event now. 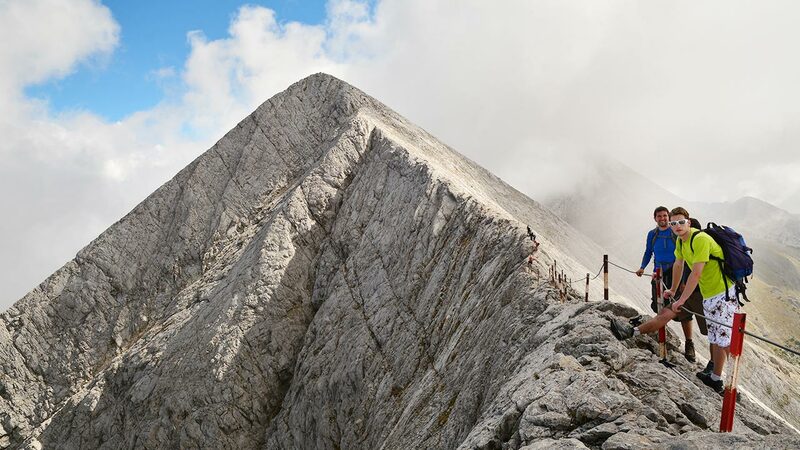 Musala Peak 2925m (9596ft) is practically the summit of the whole Balkan Peninsula. The name derives from Turkish – Bulgaria was under Ottoman rule when the peak was first conquered, and means close to Allah/God. Aside from climbing Musala in the Rila Mountains, we will also climb Vihren, a 2914m (9560ft) peak in the Pirin Mountains. So, needless to say, you need to be fit and ready for some serious hiking. But this trip is not just about climbing peaks. We will enjoy some stunning scenery, going through huge national parks with broad alpine meadows, serrated summits, glacier lakes and stone rivers, and we will encounter rare plant and animal life. 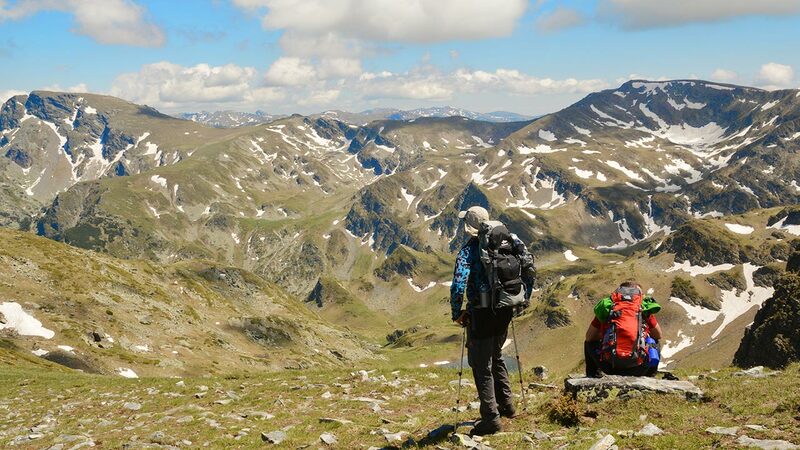 This is an 8-day trip, but you can extend it by joining our trip to Mount Olympus and Lake Ohrid to enjoy two amazing weeks of hiking, reaching the highest peaks of the Balkans. We will meet in Sofia, the Bulgarian capital. After a midday arrival, we will have lunch and a tour of the city centre. We will visit the Alexandar Nevski cathedral, one of the most recognizable Sofia landmarks, and then head straight for the mountains. Although the temperature in Sofia will be around 30 degrees centigrade at this time of the year, the average temperature in the Rila Mountains is 10 degrees during the day and can drop below zero at night, so you will need to bring warm clothes. Snow is not expected in September, but nevertheless, please be prepared for cold weather on the mountains. We end the trip in Thessaloniki, the second-largest city in Greece, which has many festivals and is considered to be the cultural capital of Greece. You are welcome to continue hiking with us for a second week, heading for the peaks of Mount Olympus. 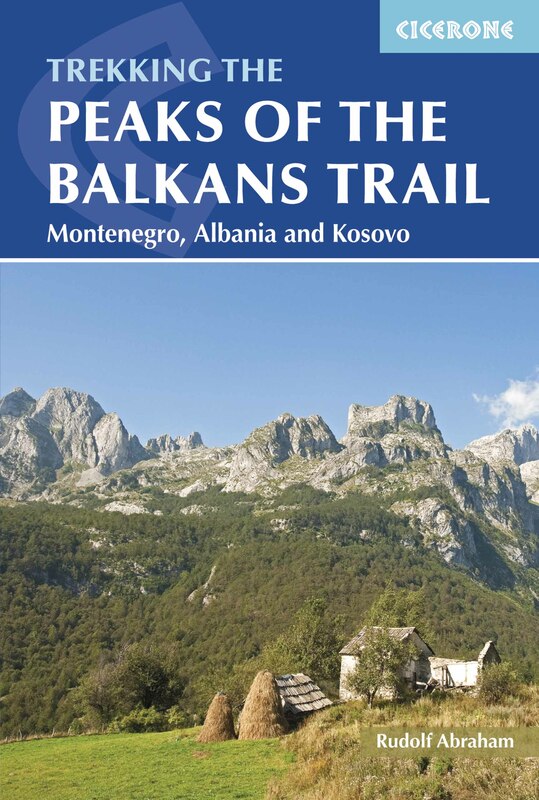 For more details have a look at our Hiking the Mountain of Gods trip, which takes you to Greece and Macedonia. Day 1: We will meet in Sofia, the Bulgarian capital, at midday. Following lunch, we will take a tour of the city centre. We will visit the Alexandar Nevski cathedral, one of the most recognizable Sofia landmarks, and we will then head straight for the mountains. We will arrive at the resort of Panichishte, where, time permitting, we can visit the gorgeous 70m (230ft) Skakavitsa Waterfall before supper. Day 2: We will go by cable car to the foot of the Seven Rila Lakes Cirque and will then trek past the lakes (each named after their most characteristic feature, e.g. the Kidney Lake, the Twin Lake and the Trefoil Lake). Passing the Malyovitsa Summit 2729m (8953ft), we descend into the valley of the same name and settle into a family hotel at the village of Govedartsi. 6-7hrs of walking, climbing 800m (2625ft) and descending 1000m (3281ft). Day 3: Today we climb the Balkans’ highest summit: Musala, a unique experience as we ascend up stone rivers and past glacier lakes and alpine huts. We plan to stay in the Everest mountain hut for the evening at 2725m (8940ft), following our descent from Musala. Expect to do at least 7-8 hours of effective walking during this day. Day 4: After descending to Borovetz, we will be transferred to Bansko at the foot of the Pirin Mountains, where we will have a well-deserved break from hiking before exploring the mountains the next day. In the afternoon we can take a cable car to view the terrain for our hikes over the next two days. 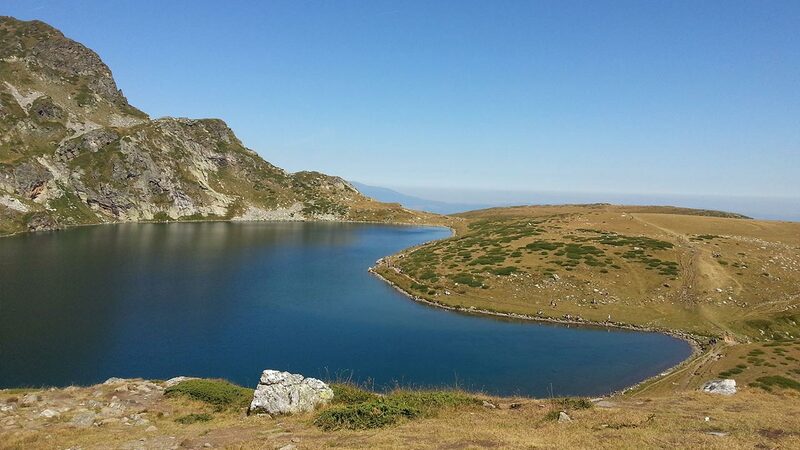 Day 5: In the morning we visit one of the most picturesque parts of the Pirin: the Banderishki Lakes Cirque. We pass some of the 16 glacial lakes, which reveal themselves one by one as we climb the terraces. 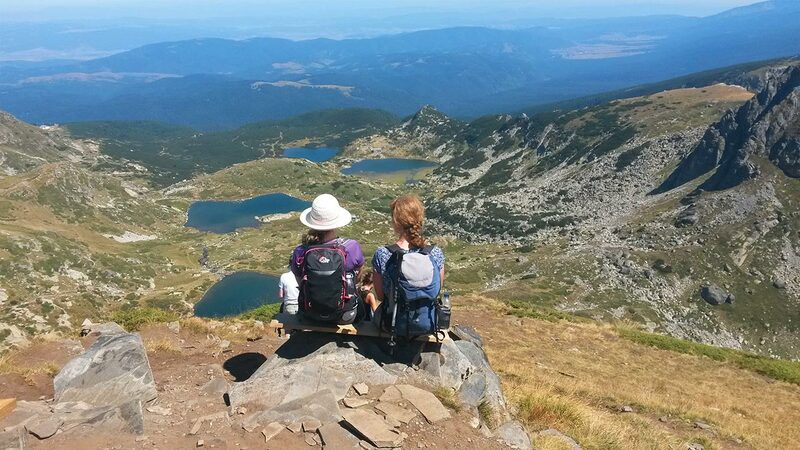 We will walk through the Todorina Porta (Todora’s Gate), which takes us directly to the Yulen Nature Reserve, from where, by way of the Todorini Ochi (Todora’s Eyes) Lakes, we descend through virgin fir groves to the Demyanitsa Hut. From here, we will follow the Demyanitsa River downstream. Expect 6-8hrs of effective walking, climbing 800m (2625ft) and descending 900m (2953ft). Day 6: We’ll start early as we attempt to climb Vihren: Bulgaria’s second-highest and the Pirin’s highest summit. Breathtaking views offer themselves to us as we climb through the Golem Kazan (Giant Cauldron) area, bounded by the 400m-tall (1312ft) northern face of Vihren. 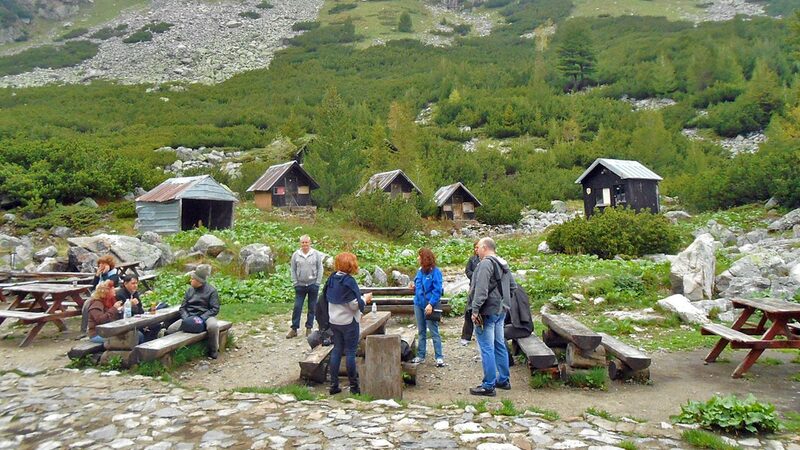 Today you will explore the Karst zones of Pirin, which are home to the endangered Edelweiss, the elusive Wallcreeper and the shy Balkan Chamois (wild goats). 6-7hrs of walking, climbing and descending 1000m. In the evening we will have a well-deserved dinner and share the stories of our adventure. After dinner we have an hour-and-a-half transfer to Sandanski, a town with thermal spas. We will stay in a hotel with its own thermal spa pools, where we can recuperate from the previous day’s strenuous hiking. Day 7: Today is a leisure and rest day, and we are staying in a hotel with thermal spa facilities. We will have a full day to enjoy the waters, whose temperature ranges from 42°C to 81°C. Optional short hikes are possible, as the town of Sandanski is located near beautiful forests. Bulgarian cuisine is an inventive mix of Mediterranean, Slavic and Oriental influences. Day 8: In the morning we will head towards Melnik, a town which has preserved its 19th century architecture and is located in the middle of a wine region. There are natural pyramid-like formations with hiking trails, which we could visit. Alternatively, we could have a wine-tasting stop before heading to Thessaloniki in Greece to catch the 10:40pm flight to London. You can also choose to extend your stay for 9 more days and join the trip to Mount Olympus and Lake Ohrid, which starts on 22 September. The cost of this trip is £790, based on two people sharing a room. A single room supplement is available at £150 extra. Accommodation in mountain huts is shared where there is no alternative.